Apple donuts. Helena. Montréal à Table. Photo Nicole Yeba. 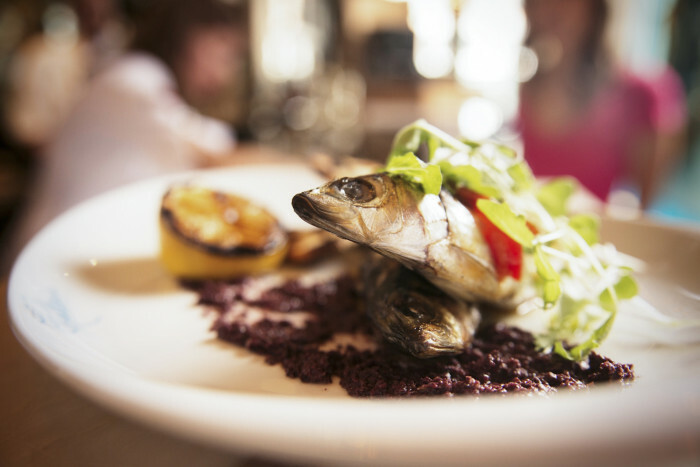 I had always wanted to try Portuguese restaurant Helena and suggested it when my friends wanted to try a restaurant during MTL à TABLE. We went for the last service at 9:30 p.m. and the place was packed. Many people were in line with and without reservations. There were three available options for the first and second services, and two for the third service. 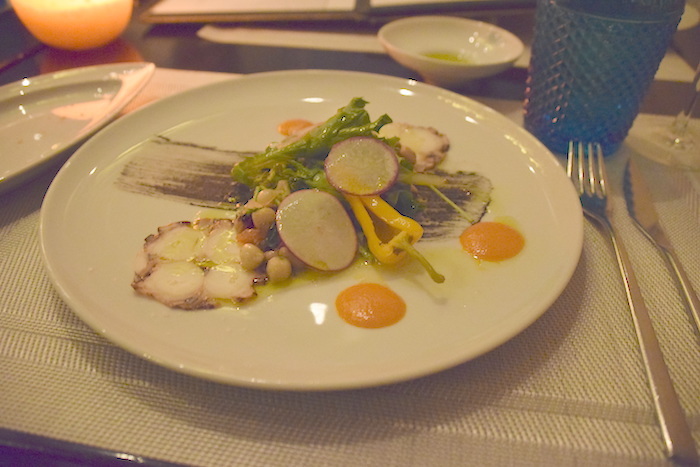 We all had the Polvo Grelhado, a grilled octopus salad with warm legumes including lentils for the first service. The presentation was remarkable and it tasted wonderful. The mix of flavours was nice and light. Octopus salad. Helena. Montréal à Table. Photo Nicole Yeba. My friends had the Picanha Grelhalda as their main meal, a hanger steak with a melting potato and vegetables. They were ordered rare and medium-rare. The steaks were juicy and came in an ideal portion. However, the steak was not easy to cut through with the knife given. Hanger Steak. Helena. Montréal à Table. Photo Nicole Yeba. 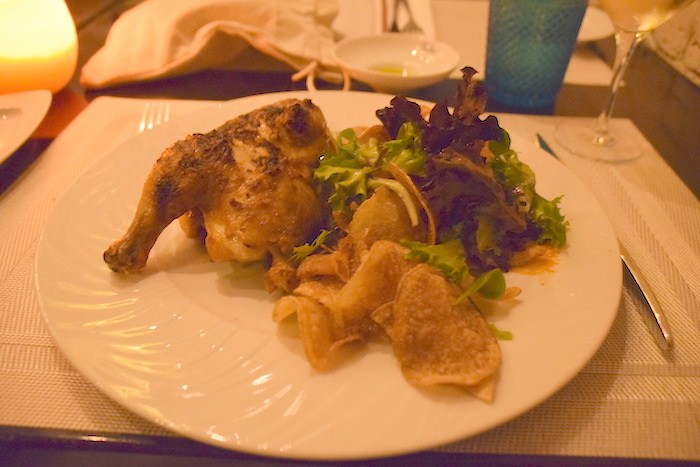 I had the Frango no Churrasco, a Cornish hen Portuguese-style served with a crunchy salad. It was a fancier version Portuguese chicken, which I am already a big fan of. It was spicy and tender. The portion was twice the size of the steak and filled me up quickly with warm homemade chips. It was almost a tough act to finish it. Chicken. Helena. Montréal à Table. Photo Nicole Yeba. 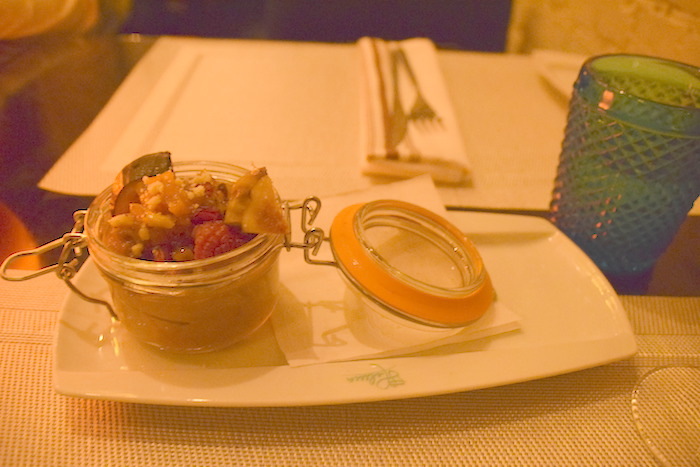 For the desserts, my friend had the Tacinha de Bolacha Maria e Mousse Chocolate, a Maria cookie verrine with chocolate mousse, squash and cinnamon jam. It was a light dessert that was not too chocolaty and didn’t taste like squash. 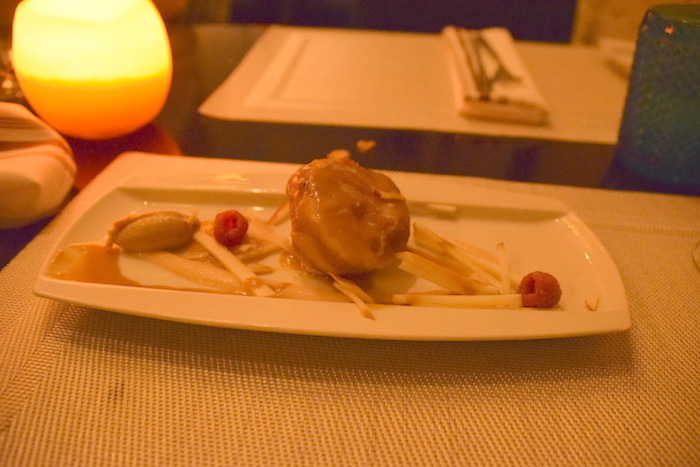 My other friend and I had the Bolas de Berlin com Maça e Erable, apple donuts with maple syrup, maple butter and apple caramel. A bite of the donut mixed with the maple products and caramel was heavenly. It was sweet, light and flavourful. It was undoubtedly one of the best desserts I’ve had in a restaurant for a while. I would have gladly ordered another portion of apple donuts. Verrine chocolate. Helena. Montréal à Table. Photo Nicole Yeba. 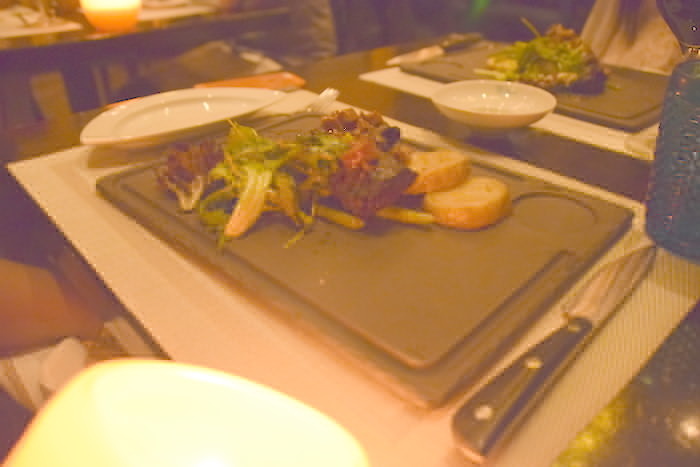 We were very impressed with Helena, especially my friend who had tried another restaurant at MTL à TABLE and was disappointed. For the price of $41, it was a lovely deal. The presentation of the plates were beautiful. The service was okay, sometimes too slow. Helena is a good Portuguese restaurant with generous portions, which I recommend and would return to. My favourite moment was when a waiter brought a bundle bag full of bread after preparing a small plate with olive oil. Helena is located at 428 Mc Gill. Call 514-878-1555 for reservations. Website HERE. King Ludd #23: If You Build It, Will They Come?